For 125 years, the Sisters of the Holy Spirit and Mary Immaculate served the poor and, in particular, people of color. They are the first order of sisters founded in Texas. Their foundress, Margaret Mary Healy Murphy, built the first Catholic African American school and church in San Antonio, the second in the state of Texas. The sisters carried their mission and work beyond the Lone Star State's borders and included most of the South and a few metropolitan areas of the North. They crossed the Rio Grande and had several missions in Mexico and traversed a new continent when they opened a learning center in Zambia. 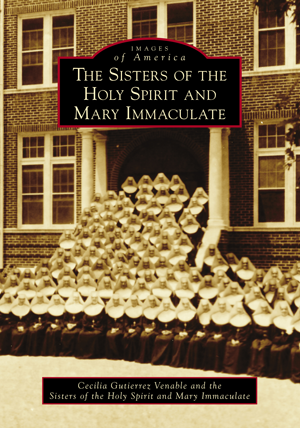 The sisters were primarily known as educators and, in later years, worked in religious education and pastoral ministry. They have also operated orphanages and nursing homes and served in hospitals, homeless shelters, incarceration facilities, and immigration residences. The school they built over 100 years ago, now known as the Healy Murphy Center, serves the community as an alternative high school, and the sisters still teach there. Cecilia Gutierrez Venable has published several books and numerous articles on local history, religious women’s history, African American history, and ranching history. She now serves as the archivist and historian for the Sisters of the Holy Spirit and Mary Immaculate.